Dragon Large Statue Outdoor Garden Sculpture. Our historical Gothic Dragon is a delightfully menacing Medieval monster ready to go into battle with you or to protect your castle! Standing over four feet long, this symbol of strength and the traditional icon of Wales carries a lineage in archeology, literature and history. 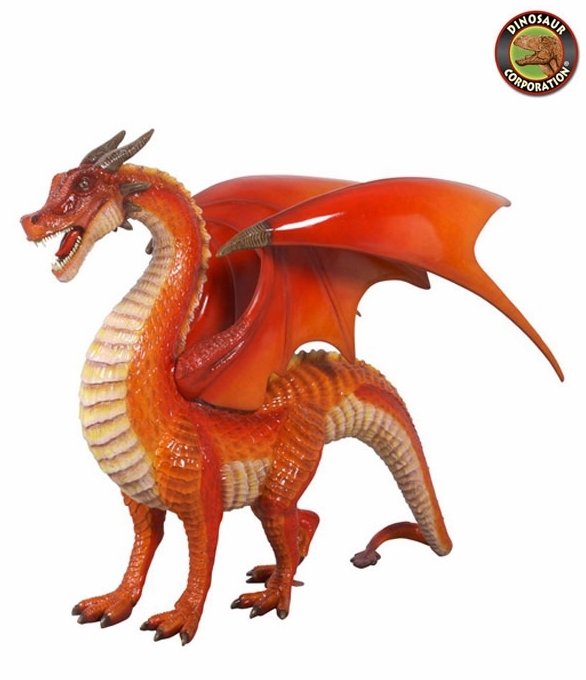 Cast with heavy duty fiberglass reinforced designer resin construction, this grande-scale, display-quality, heirloom sculpture is hand-painted, one piece at a time in the fiery tones of the legendary dark beast. * Size: 50" W x 28" D x 40" H.